Temp reporting and fan control, it gets easier to do both all the time. 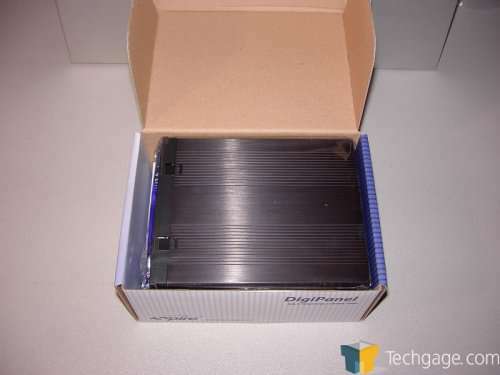 Not long ago we brought you a look at a high dollar system that did it all but was a bit pricey. Today we look at an entry level setup that does less and more at the same time. A few months ago I took a look at one of the upper echelon fan controllers on the market. It ran upwards of $100 but offers a nearly endless level of customization. 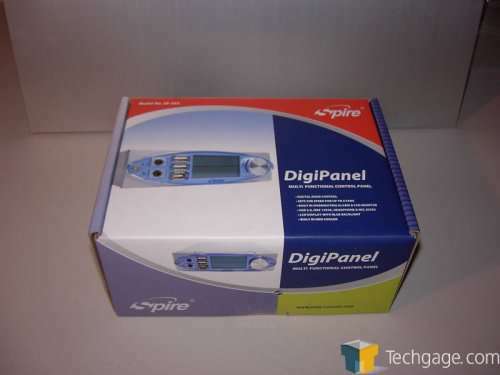 Today I take a look at a more budget friendly unit that while not as flashy still brings a good deal of utility to the table, the Spire Digipanel. 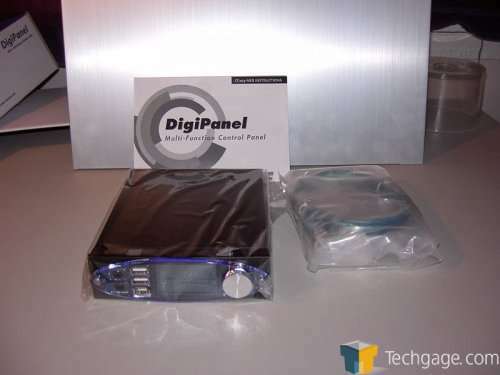 The Digipanel features a simple LCD temp/RPM display for three fans and probes, adjustable over temp alarm, set able RPM underage alarm (either off or 1000RPM) and forward dual USB, firewire and audio ports. I’ll go into greater detail on these last three later. 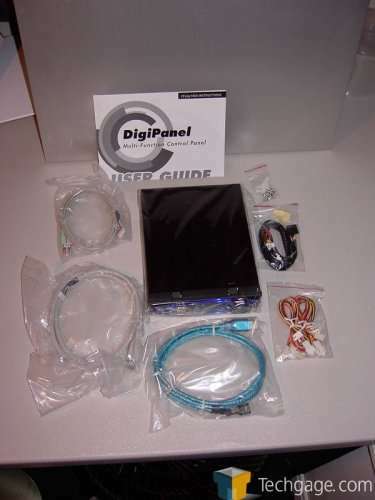 The Digipanel comes with all the required cabling, a full set of assembly instructions and a decent surprise. 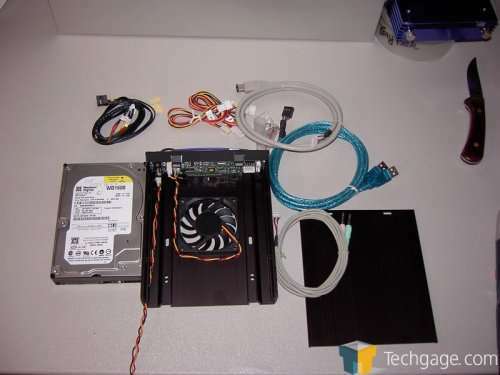 It will act as a HDD cooler/5.25" bay to 3.5" bay converter. 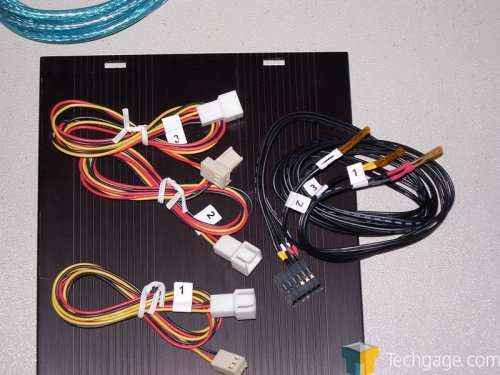 The Digipanel brings your rearward ports forward by way of the included cables. Sadly these cables don’t hook to motherboard headers but instead plug into ports on the rear of the PC. This means that if you’re using all your rear USB ports you’re just transferring those cables to the front of your PC. Same goes for audio. 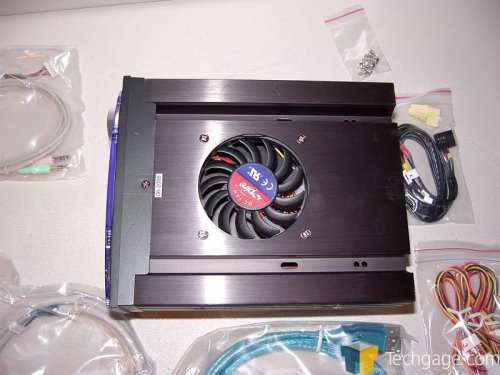 In order to use my trusty Z-560’s I had to plug the mic cable into the surround port on my sound card so that I could plug the front and rear speakers into the front panel outs on the Digipanel. If you’ve got a 5.1, 6.1 or 7.1 setup you’ll just have to forego the front audio ports until you haul your rig to the local LAN hotspot. 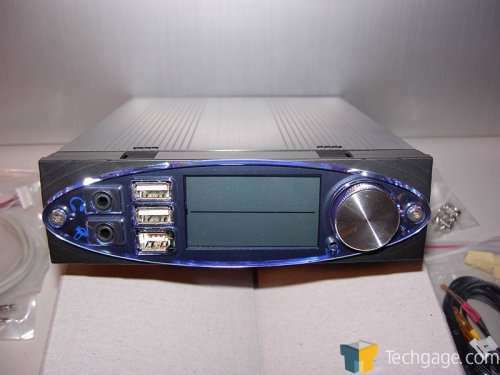 This is, of course, assuming that you’re not using the SPDIF to hook up your surround system. As you can see the added cables are rather substantial. Happily they’re long enough for just about any case you care to put the Digipanel in. Sadly they’ll be hanging out of the rear of your case or require you to coil them up inside the case to keep the rear clutter to a minimum.